“The Gatherer”, 16″ x 11.5″ (41 cm x 29 cm). Artist’s photograph transferred to cotton canvas. Thread painted by machine using 43 colours. 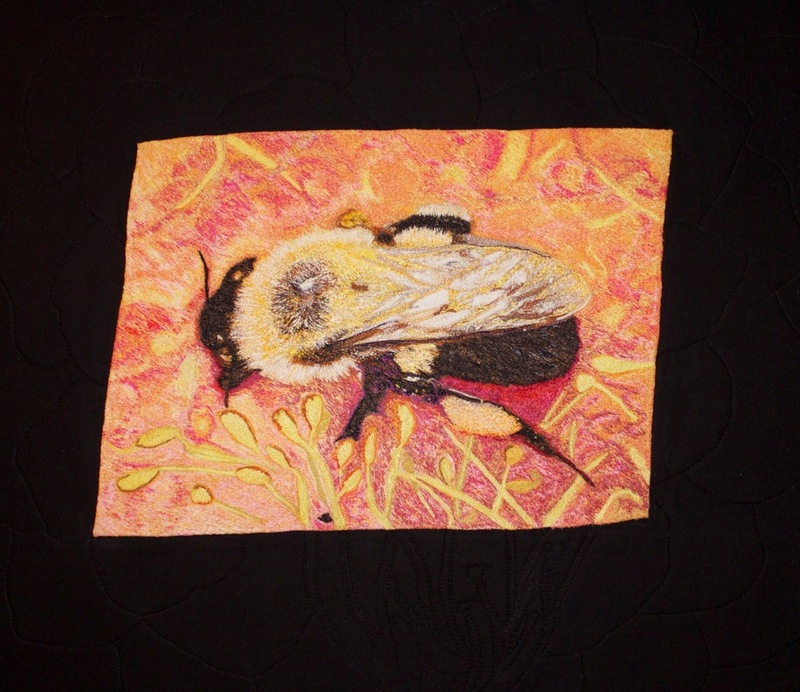 Rayon and polyester threads to make the bumblebee shimmer and matte cottons for the surrounding flower. Mounted on machine stitched cotton fabric 26″ x 22″ (66 cm x 56 cm). 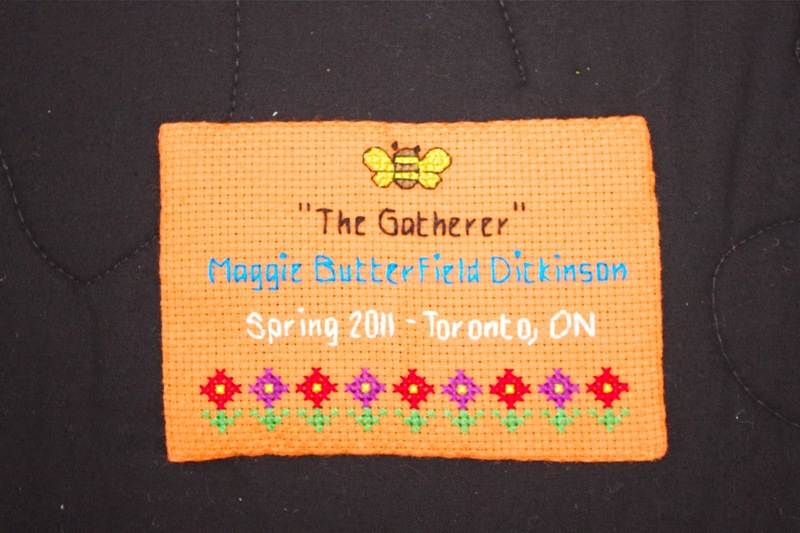 4″ x 6″ (10 cm x 15 cm), Cross stitched on Aida canvas.